The Story: Set in the future in a time of interplanetary colonization, an unlikely pair race against an impending global crisis and are confronted by the monsters that live inside us all. Over the last couple years, large scale science fiction has taken some big steps forward with the return of Star Wars and the emergence of Guardians of the Galaxy which has opened the flood gates for a new wave of genre films to hit theaters from every corner of the world. While The Osiris Child desolate landscapes and futuristic settings would fit nicely within the ranks of movies like Mad Max, District 9, or even the Halo video game franchise, it also has a very 80's look and feel to it that adds a nice element of nostalgia. The core of story is pretty simple, father doing unexpectedly heroic things to save daughter, but the world building that surrounds it provides lots of depth and opens up a galaxy's worth of potential. 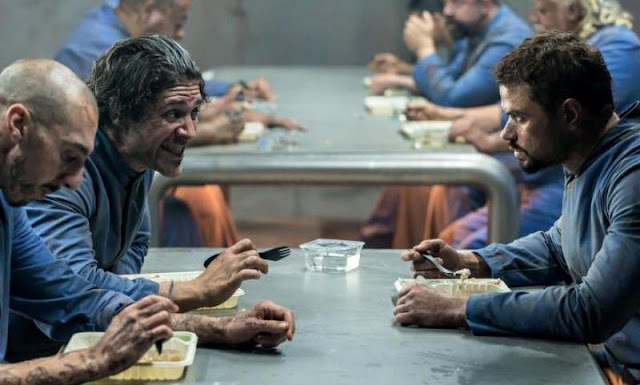 Not knowing much about the movie or who was in it, I enjoyed seeing some familiar faces popping up on screen which added even more weight to an already top notch production. 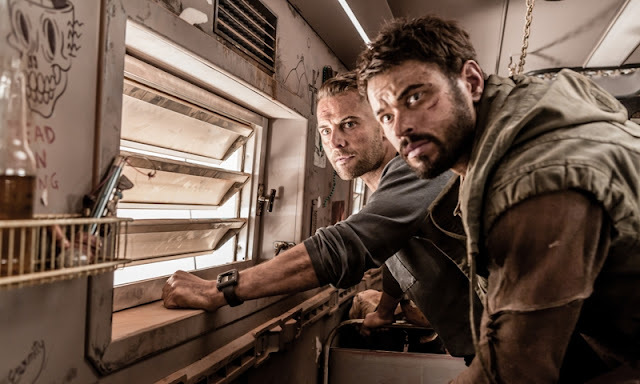 Kellan Lutz (Twilight) and Daniel MacPherson (The Shannara Chronicles) play the two lead characters and we also get to see Isabel Lucas (Emerald City), Temuera Morrison (Star Wars prequels), and Rachel Griffiths (Hacksaw Ridge) along with a promising debut from Teagan Croft. There is a key moment in the film where Kellan Lutz gets to really dig into some heavy material and the scene ends up being one the most emotionally impactful, partly because it really defines his character and also because it's kind of a proverbial punch to the gut that could easily cause a few tears from the audience. The Osiris Child: Science Fiction Volume One is a very impressive effort and I really hope we get to see more of this futuristic world that Shane Abbess has created. The production design is top notch and you can really tell that a lot of love and effort went into making the film. Definitely a must see for fans of science fiction although I also feel like it's a film that anyone would enjoy. 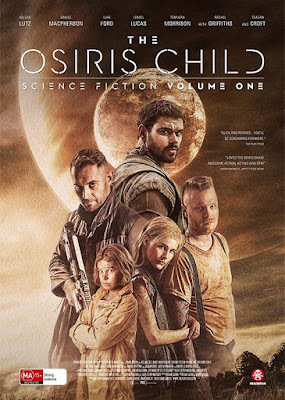 The Osiris Child: Science Fiction Volume One is an official selection of the 2017 Seattle International Film Festival. TwoOhSix.com coverage of the 2017 Seattle International Film Festival.